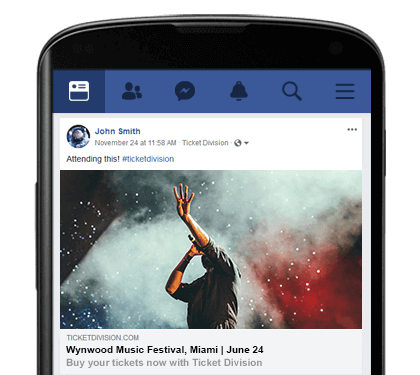 Event organizers can now offer automatic coupons to ticket buyers who spread the word and share Ticket Division event pages on Facebook. 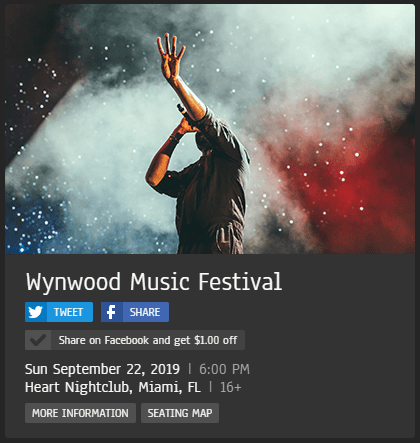 Social media event shares are a smart way to raise awareness for your event and increase sales, as ticket buyers not only spread the word among their friends, but also announce that they are attending. This is why Ticket Division allows visitors of your ticket page to share your event on Facebook and Twitter by simpling clicking a button. A pop-up window opens automatically and lets users log in to their account and share your event. Since ticket buyers had little incentive to share events, we decided to offer the option to give event shares a little push. When creating or editing an event, organizers now have the option to set an automatic discount for those who share the event on Facebook. Please note that Twitter shares are not supported by this new feature as Twitter does not offer callback responses notifying applications that actions such as tweets or re-tweets have been completed. 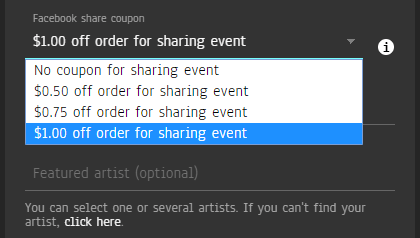 To set an automatic Facebook share coupon, simply select the discount value of your choice when setting up or editing your event. You can change the value of the discount or remove the feature at any time. Once the Facebook share coupon has been confirmed, a message will appear on the ticket page to notify buyers that they can get an immediate coupon by simply sharing the event. Ticket buyers are invited to click the Facebook Share button to open a pop-up window where they will be able to log in to their Facebook account and share the event. The window will automatically close and a coupon will be generated and added to the order. Facebook Shares coupons are valid for 60 minutes, after which ticket buyers will need to share the event again if they have not placed their order.